Vi er så heldige, at de forskellige brands nogle gange inviterer os på events og ture, og New Balance ser ud til aldrig at skuffe, når vi er afsted med dem. Så læn dig tilbage, sæt til rette og gør dig klar til at læse mere om vores tur, der inkluderer et besøg på San Mamés, et møde med Sadio Mané og muligheden for at teste de vildeste fodboldstøvler. Vores fotograf og produktekspert startede deres tur med New Balance-holdet ved San Mamés, hvilket er hjemmebanen for Athletic Bilbao, og efterfølgende blev de samlet af Athletic-spillerbussen. Her blev deltagerne kørt over til klubbens træningsbane, hvor den store scene var sat op. When our guys arrived at the training pitch, the New Balance team awaited them, and they had prepared fresh new New Balance training clothes and the new Furon v5 and Tekela v1 for them to test out, some sweet stuff! 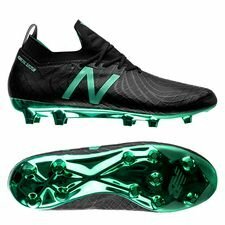 New Balance had set some courses up, where the participants could test their #unstoppable speed or their #untouchable playstyle, with the New Balance football boots. But it wouldn’t be the same without the Athletic Bilbao coaches, no offense New Balance you did great during the day, so they also hooked the participants up with two coaches from Athletic Bilbao’s second team. Athletic has a unique approach to recruitment. A player has to be born locally or trained locally within the Basque region to represent the club, with the vast majority of players coming through the Club’s Lezama academy. For the past five years running, at least two academy players have graduated to the first team EACH YEAR. In total, 85% of the current first team have come through the academy. Now that's what we call an impressive youth academy! After some hours on the pitches, creating magic and loads of fun, the participants packed their stuff and headed back to San Mamés, where a tour at the iconic stadium awaited them. The trip gave a lot of knowledge about the club in general, and insights to the Athletic Bilbao kit history. The tour also included pitch-side access, sitting on the benches and visiting the players’ locker room. Read more about the new Furon v5. The day after, the guys continued their trip with New Balance to Manchester, where they visited the popular Victoria Warehouse for the official New Balance launch of the brand new Furon v5 football boot. The warehouse was turned into a green and black zoned area, which was inspired by the new colourway for the Furon v5 and Tekela v1. New Balance also set up some small awesome challenges, where the participants could test out their speed with the Furon v5 or their precision with the Tekela v1. And you know what? These boots are just on point brilliant. But this wasn't all. 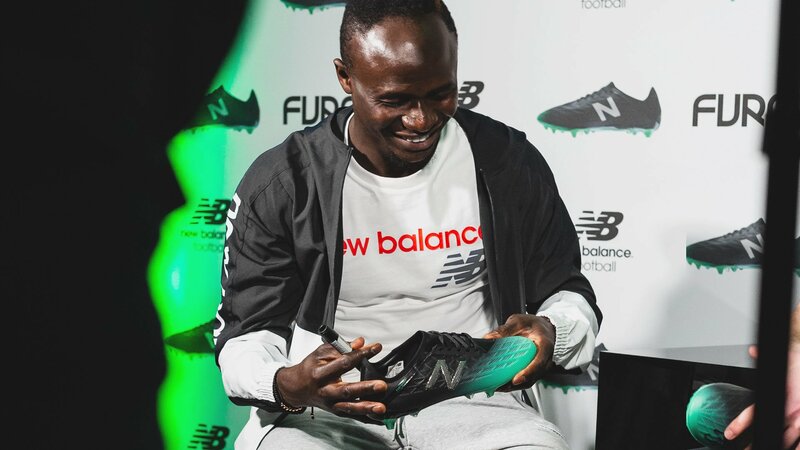 New Balance had another treat for all the participants, after they finished their tests and showcases, which was a visit from the one and only Sadio Mané. Mané, who always has a smile on his face, was in a good mood as he answered in a Q&A session. Here he gave a fun answer on why he always replicated other players goal celebration, which was that they always agree on the celebration before they go into a match, but he never scored first, so he could do the celebration first. But no worries Mané! We still love your celebrations even if you don’t score the first goal! After this meet and greet with Sadio Mané, our guys headed back to the normal days at the UnisportHQ with a big smile on their face. Looked like Mané's happy mentality had influenced them a lot! 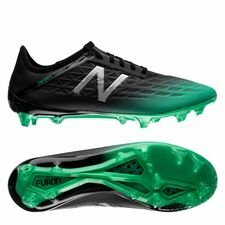 Get the latest New Balance football boots here!